Our District Export Council member and exporting expert Mr. Carlton Smith, Chief Operating Officer of HERO, accepted the 2018 President’s “E” Star Award for exporting, on behalf of Heavy Equipment Resources of Florida, Inc. (HERO). 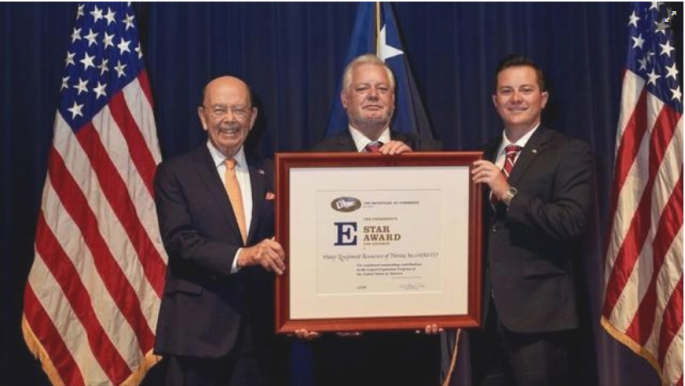 Jacksonville-based Heavy Equipment Resources of Florida was one of nine companies nationwide to receive an “E” Star Award, a presidential recognition of excellence in exports, presented by U.S. Commerce Secretary Wilbur Ross on May 21. The “E” Star Award for Exports recognizes previous “E” Awardees who have reported four years of additional export growth. We thank Carlton Smith and HERO FL for assisting the economy of our region and Florida through their sustained success in exporting! 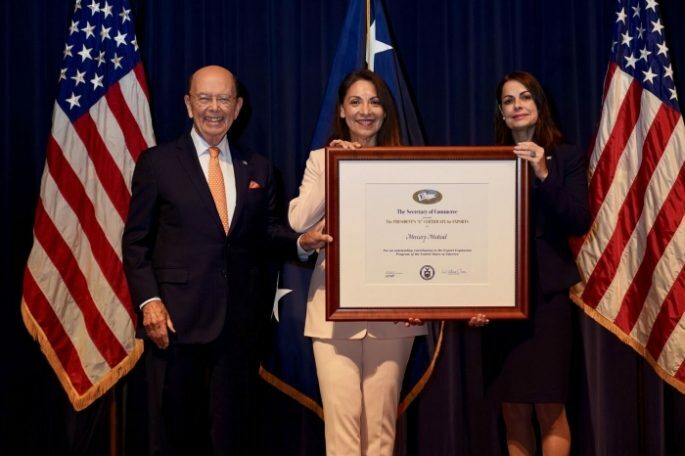 Our District Export Council member and exporting expert Ms. Ivette Compton, Director International Sales of Mercury Medical, accepted the 2018 President’s “E” Award for exporting, on behalf of Mercury Medical. 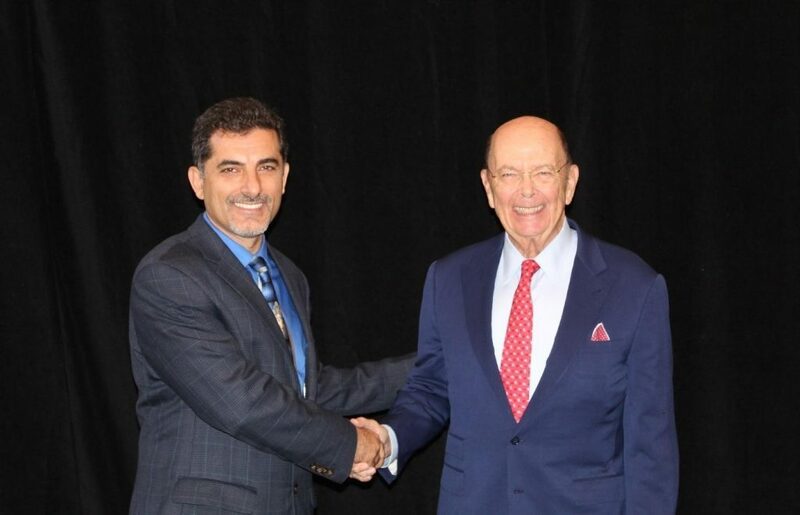 Clearwater-based Mercury Medical was one of the selected companies nationwide to receive an “E” Award, a presidential recognition of excellence in exports, presented by U.S. Commerce Secretary Wilbur Ross on May 21. 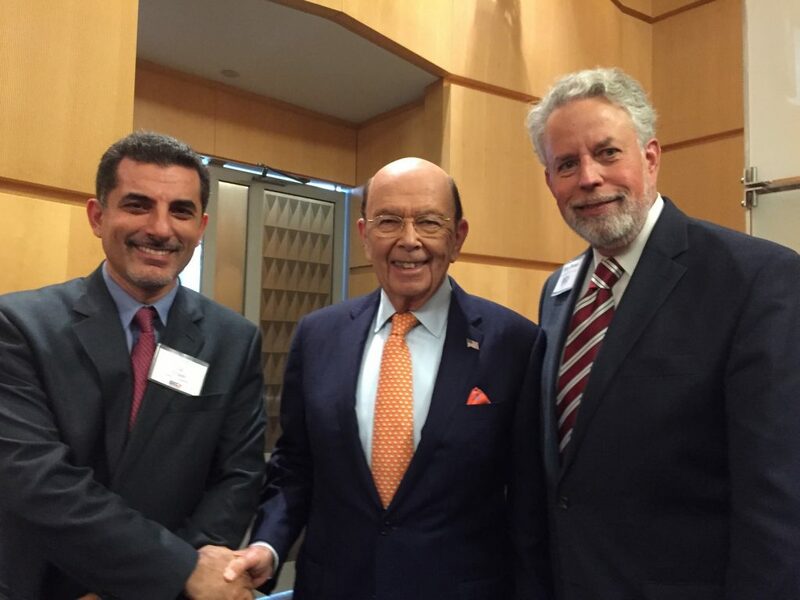 The “E” Award for Exports recognizes companies reported four years of export growth. 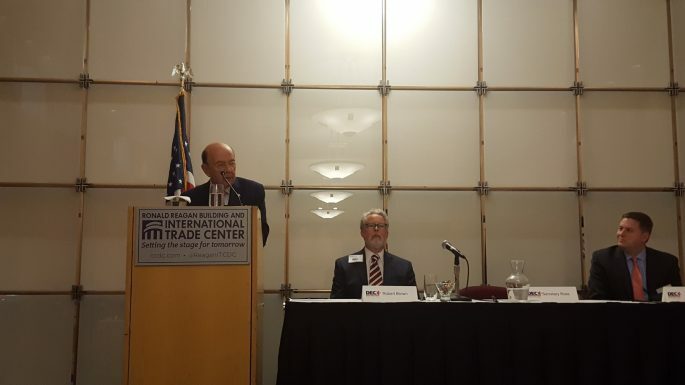 We thank Ivette Compton and Mercury Medical for assisting the economy of our region and Florida through their sustained success in exporting!